Repair your hair and revive the skin with a natural secret – mustard oil. 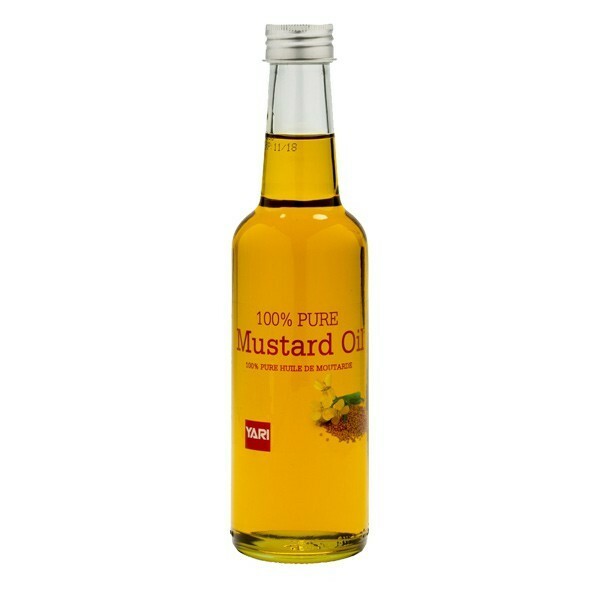 Mustard oil has been used for years in India for its many benefits. Thanks to its ability to stimulate and warm up, this natural product activates circulation in pores, sebum and follicles, helping particles, nutrients and vitamins to target targeted areas more quickly. Mustard oil is an excellent regulator of sebum, it eliminates dandruff and promotes healthy hair growth. Its anti-inflammatory property relieves irritated scalps and stimulates blood circulation while regulating sebum to keep shampoos to a minimum. It is also used on the skin, for a lightening effect and even even the most stubborn tasks. To activate the circulation and promote regrowth, simply apply the product on the hair, from root to tip. Cover with a shower cap and allow the product to sit overnight before rinsing normally. Caution: In view of its heating effect, it is necessary to restrict the application on sensitive, broken or irritated skin.